Each performance is awarded a number of points based on how fast you ran or how far you threw or jumped, and the top 4 scores for each event for each team are added together to find the overall winning girls team and the overall winning boys team. Parents, come prepared to hold a tape measure, stop watch and clip board! At Yate, the long jump pit is on the far side of the track. At Gloucester it is on the Car park side of the track. 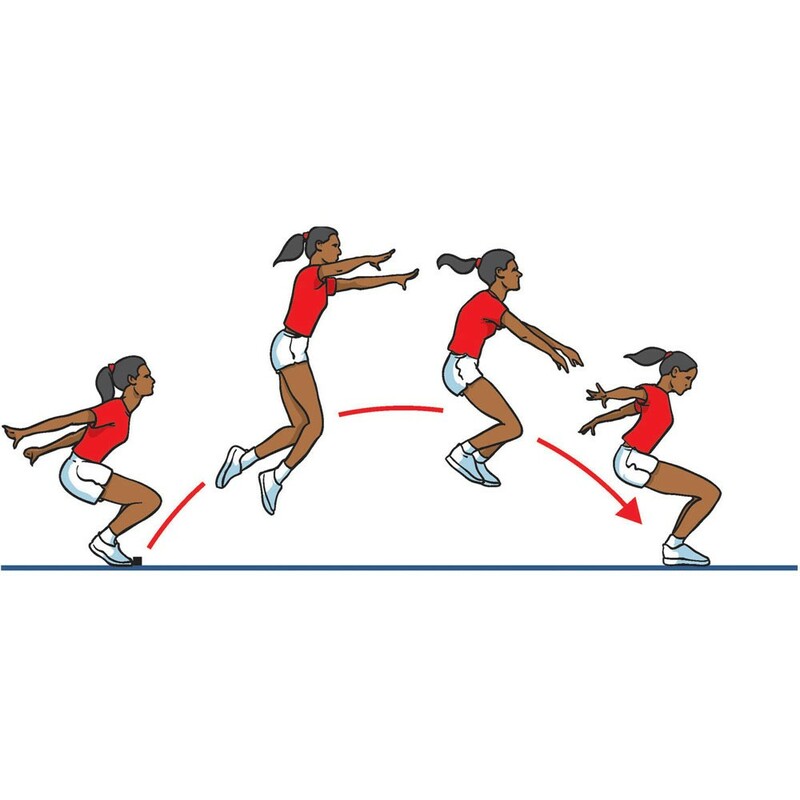 You will have at least 1 practice jump 3 competition jumps. These are taken in turn – so everyone takes their first jump, then everyone takes their second and so on. The judges will tell you where to jump from, but it will probably be from the take off board, and you will be jumping into the sand. You need to take off from standing on two feet – so that means you can bounce, so long as both feet stay on the ground until you take off. Try swinging your arms too. Valid jumps are measured to the closest mark you leave in the sand – so don’t sit down or your distance will be measured to where your bottom landed – try to fall forwards instead! Don’t step on or cross the take off line, if this happens, or if you don’t jump from two feet, your jump won’t be measured. 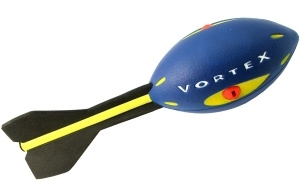 The Vortex is a small foam javelin that makes a great howling noise if you throw it hard enough. At Yate, the Howler Throw usually takes place on the field behind the club house, at Gloucester it will be in an adjacent field – Josh (your team manager) will make sure you know where to go. When it’s your turn to throw you will be given at least one practice throw, followed by three competition throws. 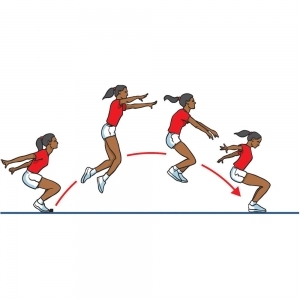 You can throw from a standing position or take a run up, so long as your foot doesn’t cross the throwing line. The judges will measure and record your furthest throw. No throws (where you stepped over the line, or the howler landed outside of the marked throws area) will not be recorded. The 75m sprint starts and ends on the back straight – this is on the far side of the track (by the long jump) at both Yate and Gloucester. Before the start of the race, you’ll be lined up into heats and put into the lane you’ll be running in. For each heat the Starter will say ‘On your marks, Set, Go’. (‘Go’ may be a whistle or a clacker, but the starter will demonstrate this first so you’ll know what to listen out for). Once you hear ‘Go’ run as fast as you can until you’ve crossed the finish line (try not to turn around to see how everyone else is doing!). Make sure you run in your own lane (don’t swerve in front of anyone else), and stay in your lane at the finish to make it easier for the judges to work out who came where. If there is a false start (where one or more of the athletes starts to run before the Starter says ‘Go’), all the athletes in that race are called back and the race starts again. Make sure you cheer on your team mates when you’re not running! At the end of the race, all the results are put into a computer programme and points are awarded by the software based on the time achieved (ie the faster the time the higher the points). The 600m run starts at the 200m mark (at Yate this is in the corner by the throws cage – please stay on the outside of the track until called to start positions). The race finishes on the main finish line by the clubhouse. Before the start of the race, you’ll be grouped into heats (2 heats for girls and 2 heats for boys). You won’t be given a lane to run in, but all athletes in each heat start the race behind a slightly curved line, which stretches right across the track. For each heat the Starter will say ‘On your marks, Go’. (‘Go’ may be a whistle or a clacker, but the starter will demonstrate this first so you’ll know what to listen out for). Once you hear ‘Go’ you should start running – but don’t start too fast – remember you’ll need to run one and a half times around the track before you finish! You don’t need to stay in your lane – try to move across to the centre and run as close as you can to the inside of the track. Staying in one of the outside lanes will make your race much further!. Try not to bump or push anyone.